I recently started to learn 3d modeling in blender and have been following some tutorials on youtube. Here's a couple of finished scenes. Does anyone else on fcraft do 3d modeling? If so, I'd love to see some of your scenes on here. Nice job I have tried 3D modelling before but it wasn't that great yours look really good though. I did alot of it when I was in my early teens, but couldnt ever be bothered to texture any of it. Fantastic. If you move onto animation I have some propositions for you regarding the RPG server. 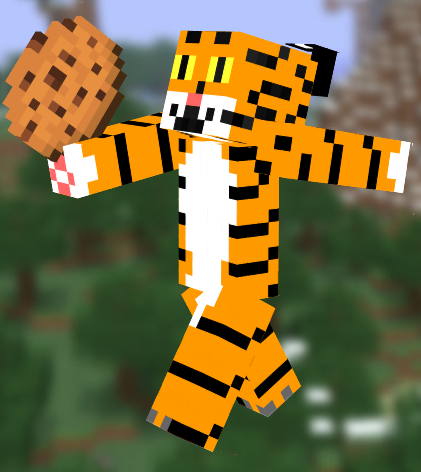 There are plenty of Minecraft based tools for Blender also, such as a .schematic converter to create a Blender scene, and all sorts of charater rigs ready for skins. If you move onto animation I have some propositions for you regarding the RPG server. I'd be willing to try. What did you have in mind? Minecraft based animation. Not super intense stuff, just dialogue driven cut scenes. There will be very minimal modelling, just things like lighting effects and otherwise basic rig-based animation. We can talk more in depth later on after you experiment with it. Here's a simple walking animation I did starring bob. Cute, try adding knees next! But Minecraft characters don't have knees! This post makes my post count increase by one! Neither do legos, but it looks cool in animation.